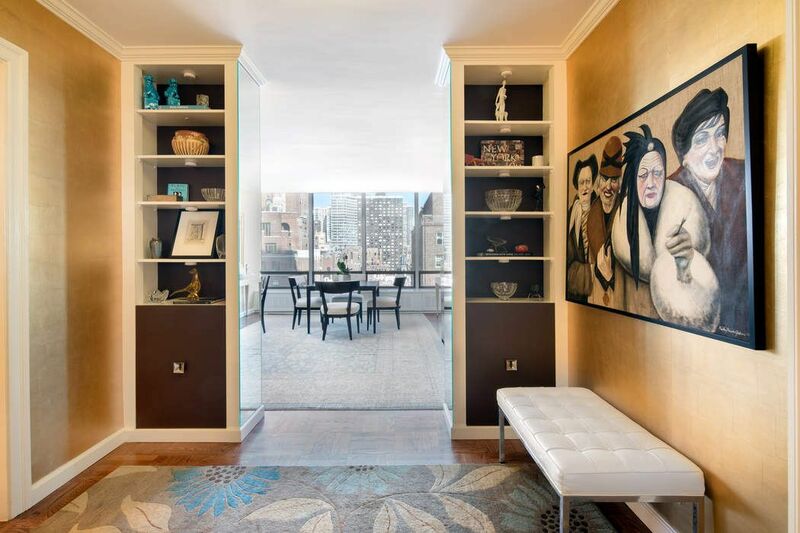 870 United Nation Plaza Apt 17D, New York, NY 10017 | Sotheby's International Realty, Inc. 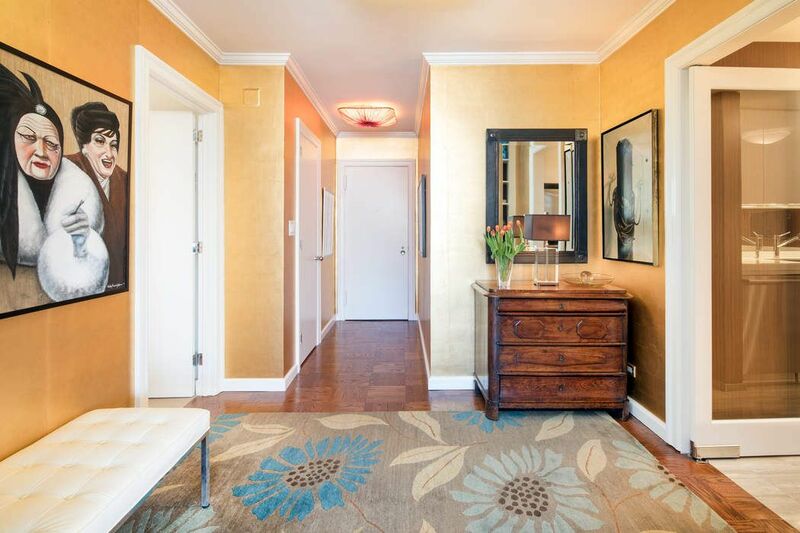 Located in the iconic and architecturally acclaimed United Nations Plaza, this designers own meticulously renovated oversized 1 Bedroom, 1.5 Bath home with beautiful proportions features the highest quality renovation. Dramatic windows throughout offer wonderful light and open north city and river views. A dramatic Gracie Gold Tea Leaf Foyer with a marble Powder Room leads to a large Gallery with custom built-ins. The generously proportioned Living Room with adjoining Dining Area showcases all-new, solid Oak Parquet floors and stunning Gracie Caramel silk wall finishes. The custom designed St. Charles Kitchen features: full-height, high gloss cabinets, white glass counters, rift-cut natural walnut walls with marble back-splash, limestone floors and top of the line appliances including Fisher & Paykel, Smeg and Miele. 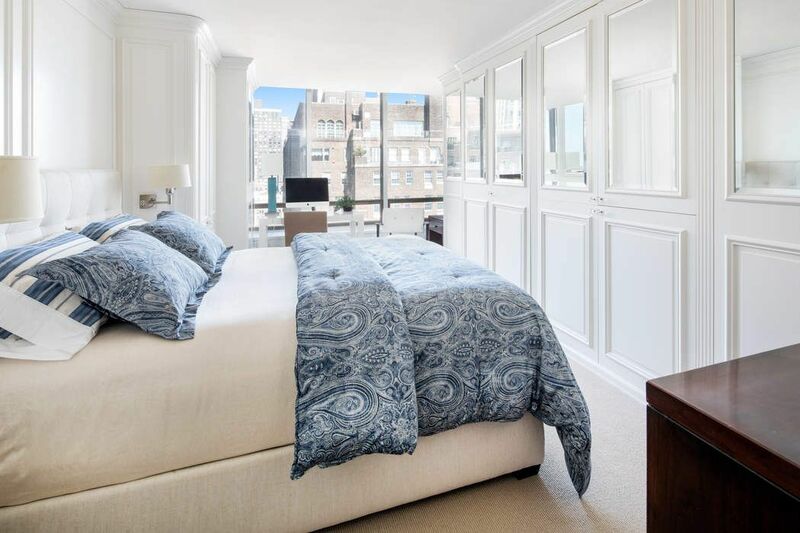 The large Master Bedroom Suite features custom millwork walls and cabinetry as well as a walk-in closet and en-suite Calcutta Gold marble Bath. Additional Closets and a Storage Bin complete this elegant, move-right-in home. The United Nations Plaza is a full service luxury Cooperative with an impeccable staff offering extraordinary service. Amenities feature: Club 39, a Residents Lounge; Gym, Pilates studio, Golf Range simulator, private drive and Garage and Roof Deck. 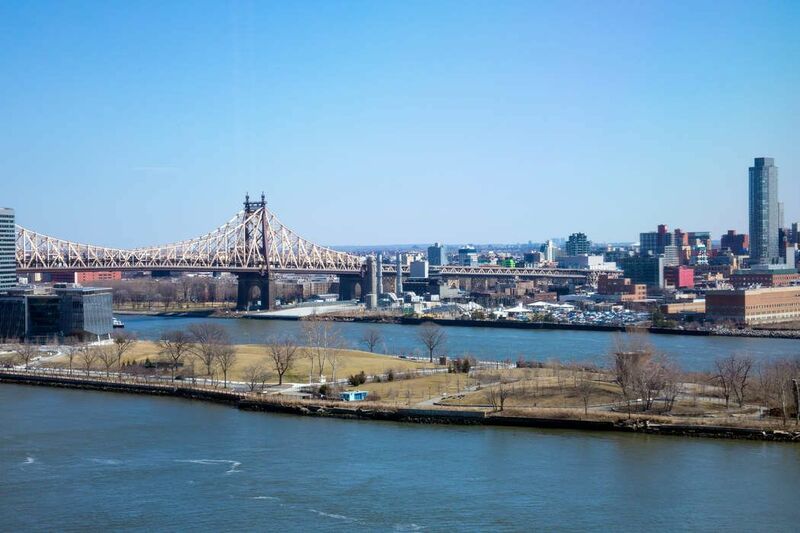 It is ideally situated on the East River at the base of Beekman Place, in one of Manhattan's most exciting residential and international communities with easy access to the city's business districts and finest shopping and dining. Pets are welcome. 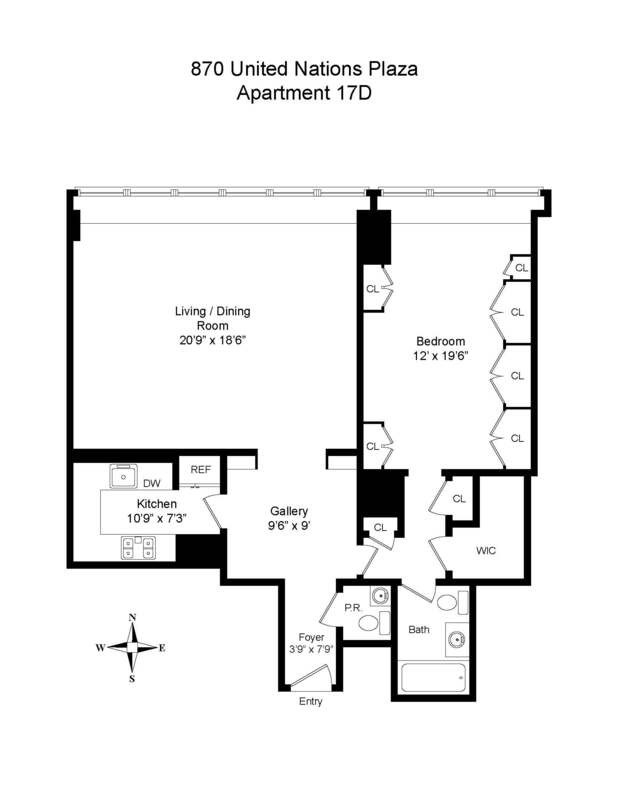 Pied-a-terre purchase permitted. Monthly utilities $577.40. Window washing $20.70. Cable & Internet: $71.50. Some FURNISHINGS AVAILABLE for PURCHASE. Apartments can be purchased in a Qualified Personal Residential Trust. International Buyers are permitted with acceptable USA based assets. 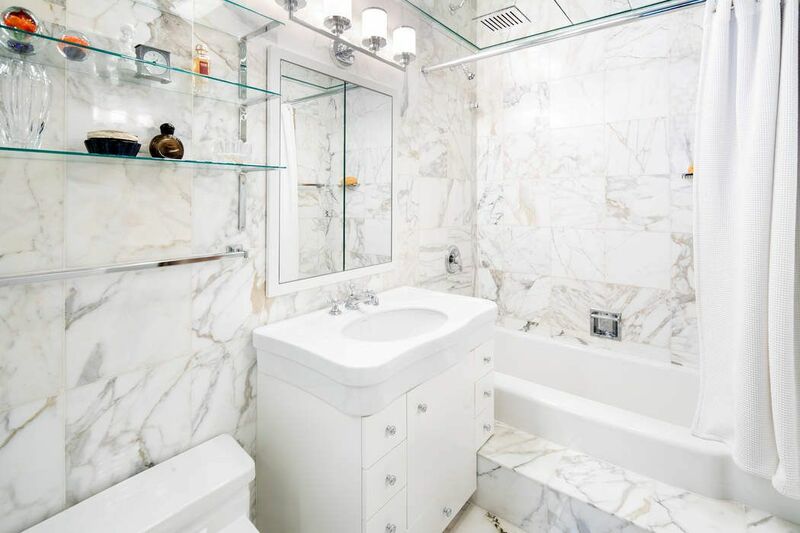 Located in the iconic and architecturally acclaimed United Nations Plaza, this designers own meticulously renovated oversized 1 Bedroom, 1.5 Bath home with beautiful proportions features the highest quality renovation. 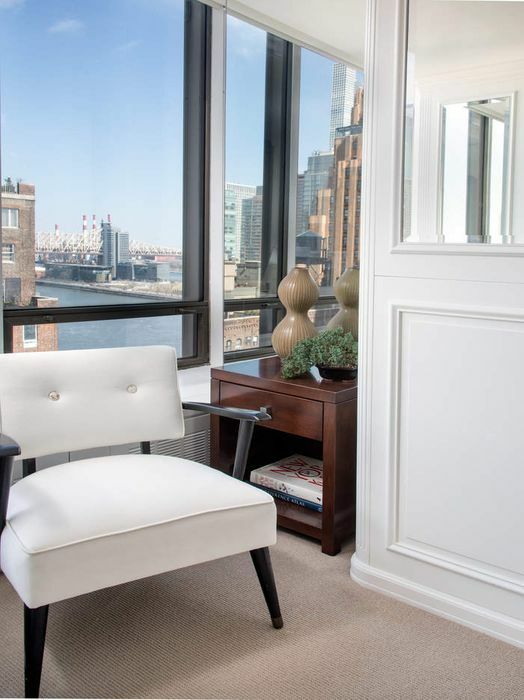 Dramatic windows throughout offer wonderful light and open north city and river views. A dramatic Gracie Gold Tea Leaf Foyer with a marble Powder Room leads to a large Gallery with custom built-ins. The generously proportioned Living Room with adjoining Dining Area showcases all-new, solid Oak Parquet floors and stunning Gracie Caramel silk wall finishes. 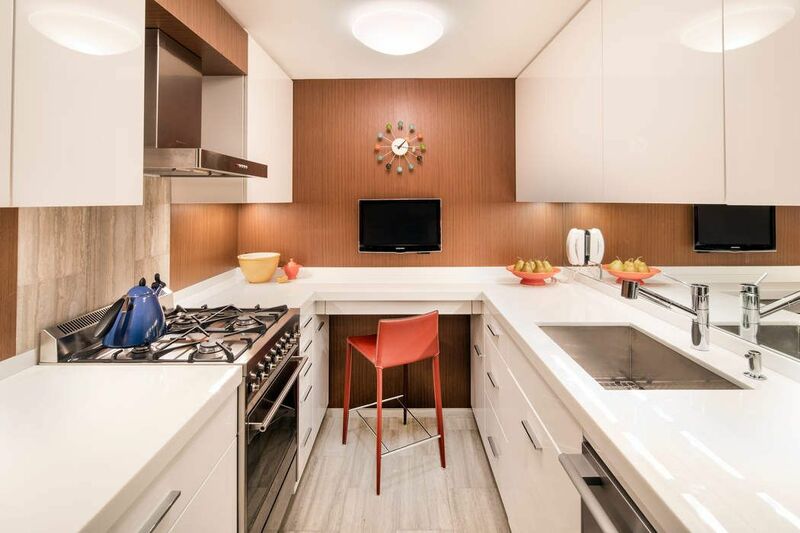 The custom designed St. Charles Kitchen features: full-height, high gloss cabinets, white glass counters, rift-cut natural walnut walls with marble back-splash, limestone floors and top of the line appliances including Fisher & Paykel, Smeg and Miele. 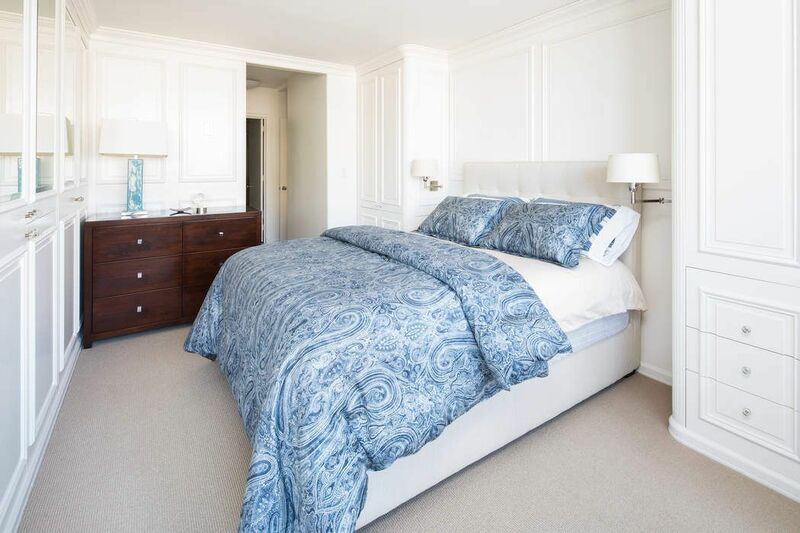 The large Master Bedroom Suite features custom millwork walls and cabinetry as well as a walk-in closet and en-suite Calcutta Gold marble Bath. 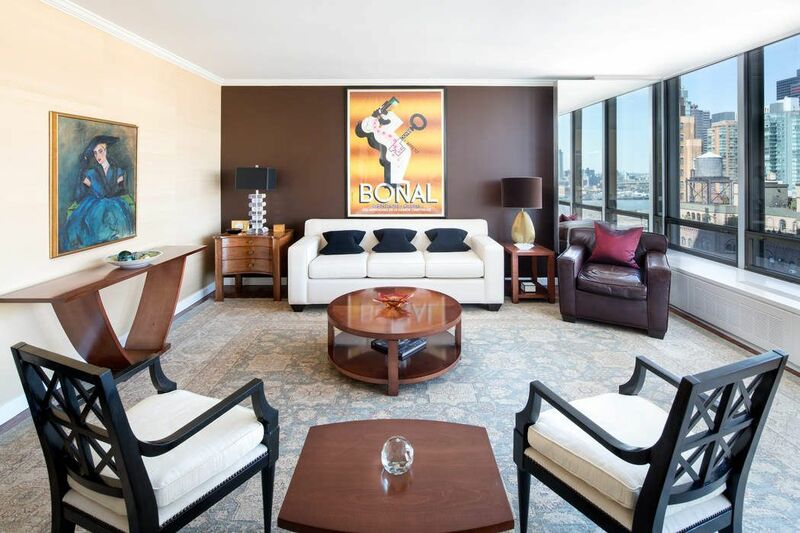 Additional Closets and a Storage Bin complete this elegant, move-right-in home.The United Nations Plaza is a full service luxury Cooperative with an impeccable staff offering extraordinary service. Amenities feature: Club 39, a Residents Lounge; Gym, Pilates studio, Golf Range simulator, private drive and Garage and Roof Deck. 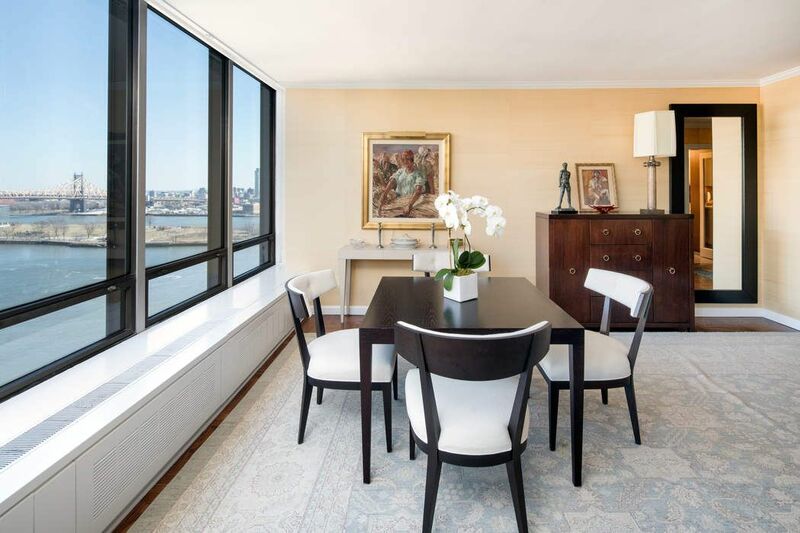 It is ideally situated on the East River at the base of Beekman Place, in one of Manhattan's most exciting residential and international communities with easy access to the city's business districts and finest shopping and dining. Pets are welcome. Pied-a-terre purchase permitted. Monthly utilities $577.40. Window washing $20.70. Cable & Internet: $71.50. Some FURNISHINGS AVAILABLE for PURCHASE. Apartments can be purchased in a Qualified Personal Residential Trust. International Buyers are permitted with acceptable USA based assets.